This three minute video explains what biomedical technicians, also called biomedical equipment technicians, or BMETs, are medical equipment maintenance and repair specialists. They work with a wide variety of biomedical devices that diagnose, treat or assist patients. This video provides insights into what is required in this job, but it is also good to show students that there are a variety of occupations available that they might not have thought about previously. 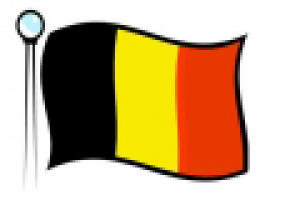 Dit document is bedoeld om leerlingen concrete info te laten opzoeken over alle bijzonderheden van België (feestdagen in België, buurlanden, premier, oppervlakte, geschiedenis, ...). How to Draw Comic Book Characters. Drawing comic book characters is a quick moving video that shows the basic of drawing such figures. It is best used if the students can follow with their own paper and pencil. May need to be replayed a few times. "Introduction to Aerospace Engineering and Design, Spring 2003"